As attempts at right-wing unity falter, Rabbi Dov Lior tells Otzma Yehudit party: "If unity efforts fail, you must run alone." 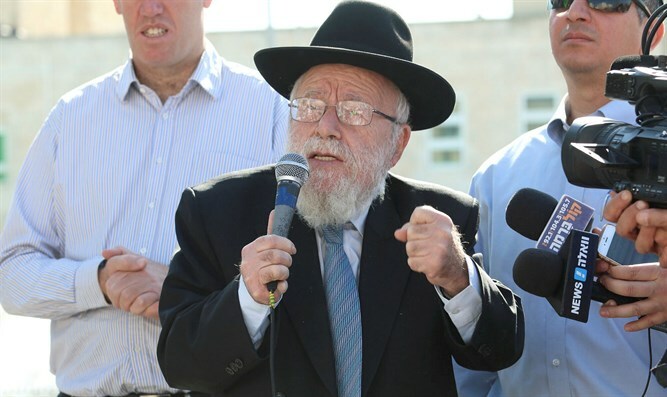 Rabbi Dov Lior, one of the leading rabbis of the Religious Zionist movement, last night told the heads of Otzma Yehudit party, which he endorses, that if attempts to form alliances with other parties fail, they must run independently. Last night it was revealed that there are growing voices in Jewish Home opposed to an alliance of the right-wing parties, and neither is National Union Chairman Betzalel Smotritch, according to the party, in a hurry to form such an alliance. Late last night, Rabbi Lior sent a letter in which he wrote that efforts should be made to ally with other Torah-observant factions to increase the power of Knesset representation, "but if the attempts at unity fail you must run alone to save the tens of thousands of votes of Otzma supporters faithful to our Holy Land," he said.